The Alabama Society of the Daughters of the American Revolution (ASDAR) is a lineage organization which is part of the National Society of the Daughters of the American Revolution (NSDAR). Members are women who are descendants of patriots of the American Revolution. ASDAR works to promote historic preservation, education, and patriotism, which are the objectives of the National Society. Early in the 20th century, ASDAR also raised funds to help pay for the construction of the Constitution Hall at DAR Headquarters in Washington, D.C., including the large arch over the stage and the Alabama Box. Subsequent State Regents projects have provided for the furnishing of the Alabama Room in the DAR Museum and maintenance of the room. 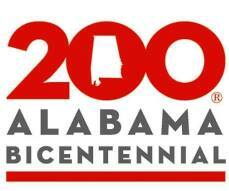 The Alabama Society has also funded construction of monuments which marked various historic events including the first incorporated town in Alabama and places visited by the Marquis de LaFayette, who made significant contributions to the cause of the patriots in the Revolutionary War. Many ASDAR chapters have also erected historical monuments and marked the graves of many Revolutionary War patriots who are buried in Alabama. New Daughters: Today's DAR. NSDAR publication.